Who’s afraid of the bigger, badder sharing economy? At the recent NYU International Hospitality Investment Conference, fellow attendees and hotel executives talked a lot about Airbnb and the sharing economy, which I expected. But they intrigued me with their contrarian view of peer-to-peer lodging as a threat, especially as the sector continues to get bigger. Several CEOs, including Marriott International’s Arne Sorenson, agreed that the sharing economy has entered a kind of second phase, where hosts occasionally renting out a bedroom have given way to semi-professional hoteliers running dedicated units. But Sorenson argued that it’s a good thing for a branded hotel to compete with an Airbnb location on a like-for-like basis. 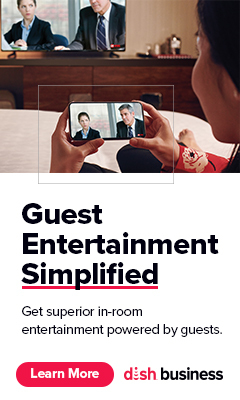 It’s true that Marriott and other mega hotel brands have the scale and marketing clout to compete against peer-to-peer lodging, but I’d note that it does still represent a new form of supply that is a substitute for hotel rooms. However, Sorenson is right that the hospitality industry should not panic; it should just account for Airbnb and others when thinking about supply growth in new markets and when creating new brands aimed at Millennials. While sharing economy services are growing rapidly, they’re by no means invincible. Hotels will always evolve and improve their physical product, their service attributes and their technology offerings, which only will help them appeal to Airbnb customers who up till now shied away from hotels. Traditional hotels might not have competed for these infrequent travelers before. Yet they are positioned to poach those consumers as incremental business far better than Airbnb hosts are to lure frequent travelers and road warriors away from hotels. The key point for hotel brands to remember is that they are not lodging companies; they are hospitality companies. The high-touch hospitality of a local host welcoming travelers into a homelike atmosphere was a central appeal of the sharing economy in the beginning. That level of service gets lost when an amateur hotelier tries to scale up an Airbnb operation to many rooms across multiple properties, some of which are listed 365 days a year. But it doesn’t for hotels, which recruit, develop and retain the best people educated in true hospitality. That ability to differentiate the on-property experience through superior service engenders real loyalty among guests. Hotels also have a major structural advantage in the technology platforms available to help them improve their marketing and revenue management. Also, in some markets, we are seeing active city councils attempting to pass legislation that cracks down on illegal hotels more effectively. Even in places where short-term rentals are allowed but the necessary hotel taxes are collected, the playing field should even out over the coming years. In all, I agree with Sorenson’s view that hotels shouldn’t necessarily be alarmed by the growth of the sharing economy and its super hosts. The bigger they are, the harder it is to achieve real hospitality and guest loyalty.